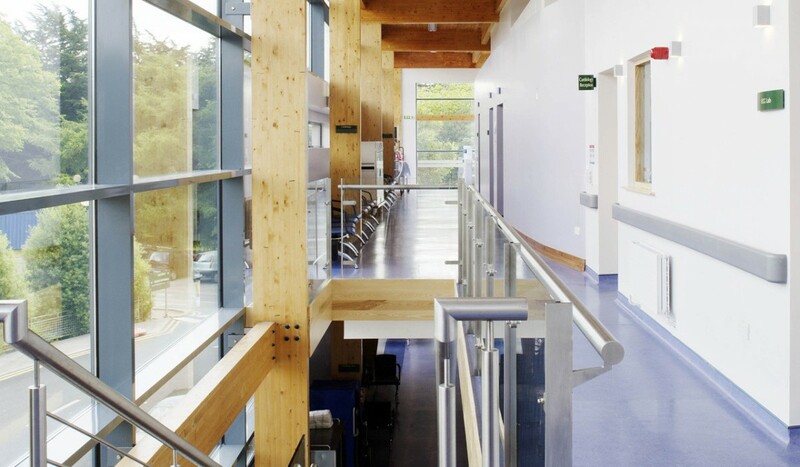 In 1998 Burke Kennedy Doyle Architects were selected by Competition to produce a Master plan for the Bon Secours Health System for their Hospital at Bon Secours, Glasnevin. The Bon Secours Sisters have been providing private health care on the current site for over 50 years. Following the addition of a new Theatre block in the late 80’s early 90’s the Hospital decided to continue the upgrade its services and modernise it’s approach to day and in patient care. 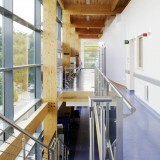 A master plan was devised to meet the needs of the Hospital and its Clients in terms of theatre and high dependency services, day care, diagnostics, management accommodation and parking while retaining the unique character of the picturesque semi-suburban site. Since 1998 the Master plan has been further developed and building progressed in 2003, with the Convent building completed in the summer of 2004. Work is continuing on the remainder of Phase 1. Phase 1 includes the renovation of the existing Convent building to Hospital administration, a new CSSD department, relocated Chapel, relocated Laboratory facilities and ward areas. A new Link building is to be provided to link the existing Hospital with the renovated Convent building. This building will provide a new Chapel, ward areas, orthopedic department, a 4 bed HDU and offices. New build and renovations throughout the existing Hospital will provide a stand alone Endoscopy department and the conversion of an existing wing to a Diagnostic Hub will accommodate a minor treatment area with independent access, an enlarged Radiology department, a new MRI facility, advanced Pulmonary, Phlebotomy, Urodynamics, Ophthalmology and Cardiology departments and an improved admissions / circulation area. Phase 2 will provide a new Day Hospital and two plates of multi-storey car parking.